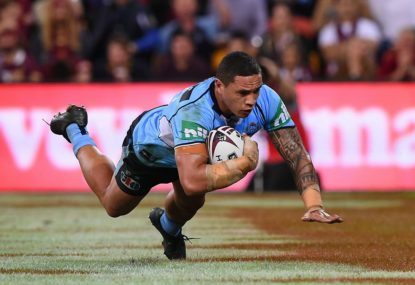 As sure as day turns to night, the New South Wales State of Origin team will take to Suncorp Stadium for Game 1 of the 2017 series with a team selected on loyalty and incumbency, rather than form or an eye to the future. NSW need to regenerate, go with youth and play a more expansive game. There are numerous incumbents who are so far off the pace that hearing their names read out in a few weeks will have me shaking my head once again. The most obvious sign of a continuation of grey-beard thinking would be the selections of James Tamou and Aaron Woods. Wood’s inability to hit and stick and his penchant for third-man in flops aren’t the qualities I want in a front rower. If he is made captain, we should all give up. Tamou is inconsistent and hasn’t provided the boost to the Panthers forward power that they anticipated. He was lauded in his time at the Cowboys, but playing in such a powerful team can do that, and his Origin form has never impressed. His running metres are actually down on 2016 figures. Averaging 109 metres per game at this stage of the year probably isn’t the impact for which the Panthers were hoping. There are other options if the selectors show some character and invest in the future. Last year I called for the inclusion of Paul Vaughan and now, after his wonderful start to the season with the Dragons, others have jumped on board. 152 metres per week belittles Tamou’s efforts. It would have been nice if Vaughan had a taste of the action in 2016, preparing him for this upcoming series. Joey Leilua will be in the same position. The concerns over ball security and defence have held him back from selection, yet other players’ attributes weren’t defining factors that denied them selection. Two such examples would be Blake Fergusons selection on the wing for Game 1 last year, despite relatively poor form, and the persistence with Josh Morris for Games 1 and 2 (he did eventually miss Game 2 with injury). Ferguson offers little of the spark in attack he did when at the Raiders and Morris has been hobbling around for three years. Neither deserved their spot, with Morris seemingly being selected based on some excellent defensive efforts in the past on Greg Inglis. The selectors’ reluctance to use James Tedesco, Wade Graham and Tyson Frizell from the outset showed a lack of vision. 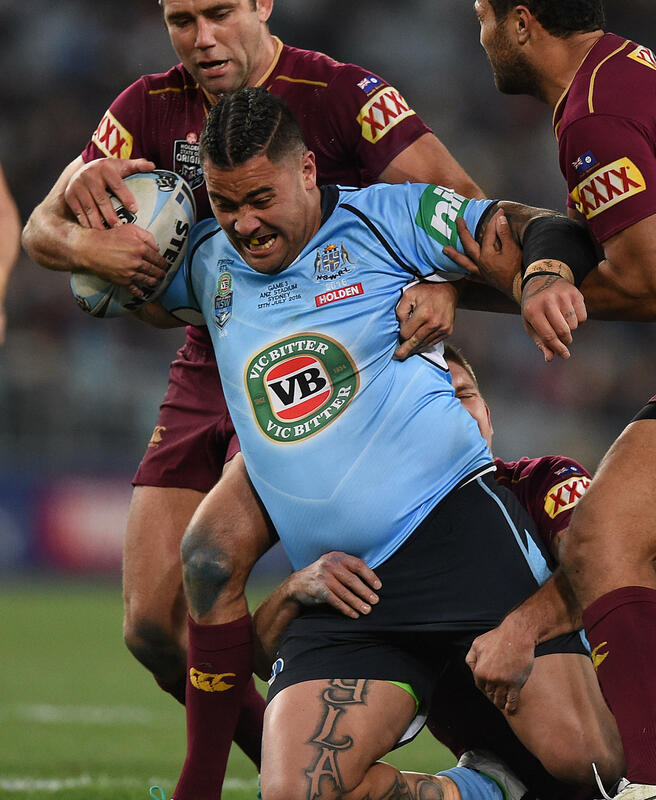 The spark the Blues had in Game 3 was a potential forewarning for the Queenslanders. Sure, it was a dead rubber, yet the Maroons led until late and looked as determined as ever. Bryce Cartwright was another young player who deserved a run and would be perfectly primed for the 2017 series if he received a taste of Origin last year. Likewise Tom Trbojevic, who is stamped with the class, speed and power so lacking in the Blues backline over the last five years. The halves throw up a yearly headache for the selectors and in a way they are on a hiding to nothing. Each year, Cooper Cronk and Johnathan Thurston outthink, outclass and eventually outplay their counterparts. Mitchell Pearce has bounced back into some good form after his Origin career had seemingly gone to the dogs, but selecting him is not a proactive step. The mental scarring he brings, along with a kicking game that has never stood the test of Origin football are good enough reasons to keep him out of the team. 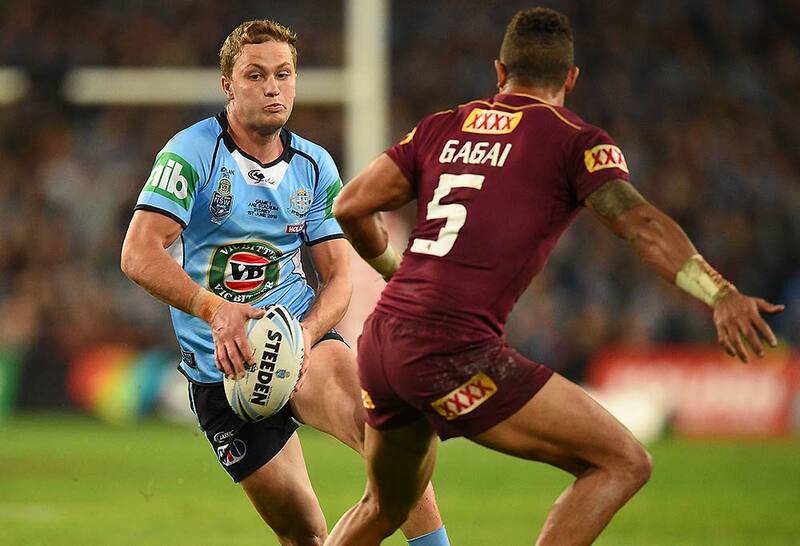 Matt Moylan looks to be the player everyone hoped he would be and perhaps following the astute logic of Phil Gould would be prudent in helping to shape him into a long-serving Blue. Play Moylan at five-eighth and Adam Reynolds at 7. The South Sydney halfback has the best short kicking game in the NRL and New South Wales needs to strike a consistent balance within the halves. That balance in the future will include Nathan Cleary, just not quite yet. 18th man is a good spot for him right now. Moylan and Reynolds didn’t play together last year, with Moylan only recalled to the side for Game 3 after Reynolds withdrew with injury. James Maloney was the constant presence in the halves and gives his all for the team, however the crystal ball clearly shows that it will be Moylan at five-eighth in the short-term, with Reynolds his foil. Robbie Farah and his tumultuous departure from the Tigers has been done to death. Sadly for him, his football has suffered and his role off the South Sydney bench will not strengthen his claims for selection. There is a pause, hesitation and selfishness in his work around the ruck. A good dummy half is measured by their service and Farah seems to provide his first receiver with the ball only after having a little look for any potential openings for himself. Perhaps this trend has developed as a byproduct of the saga that was his last few years at the Tigers, as Farah seemingly became more focused on himself than the team. From last year’s series, the following names need to be jettisoned: Blake Ferguson, Michael Jennings, Josh Morris, Dylan Walker, Josh Mansour, James Maloney, Aaron Woods, Robbie Farah, James Tamou. Obviously Paul Gallen has stepped aside and Greg Bird is unavailable. While this might look like wholesale changes, ten players keep their spots. Worth persisting with: Matt Moylan, James Tedesco, Josh Dugan, Adam Reynolds, Boyd Cordner, Josh Jackson, Wade Graham, Tyson Frizell, David Klemmer and Andrew Fifita. Throw into the mix a group of promising young stars, some who are ready and some who will be next time around, and the squad looks rejuvenated, young, fast and powerful. Paul Vaughan, Tom Trbojevic, Jake Trbojevic, Bryce Cartwright, Joey Leilua, Latrell Mitchell, Mitchell Barnett, Damien Cook, Nathan Cleary, Blake Green, Dale Finucane and Josh Addo-Carr are in form, and while one or two of them might raise an eyebrow, they are the players in contention if NSW pick a team based on that criteria. They won’t pick this team. However, if they did, it is one with which I would much rather lose to the Queenslanders, than a team of veterans close to calling time on their careers. They might even win, but if not, it would be a loss in the full knowledge that their undoubted talent will see them peak in State of Origin series to come.